Craig Anderson is the inspirational leader of Santa Rosa's LandPaths. 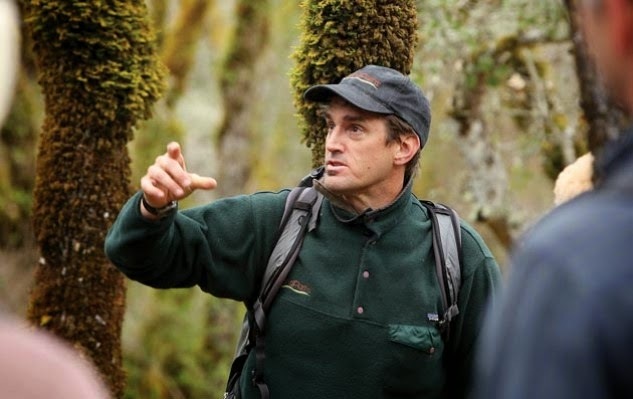 He won Bay Nature’s 2014 Conservation Action Award and I interviewed him for the magazine. When I asked about his success at achieving diversity among the members of his organization, he said, "Diversity in Sonoma County is not just the Latino–European–Pan Asian community. It’s also people from a traditional agricultural and ranching background; it’s vintners; it’s Gen X and Gen Y; it’s families; and frankly, it’s urbanites who are so busy trying to keep up in this world that their understanding of local economy and food has not expanded beyond big-box stores. We’re not happy at LandPaths until we’re able to reach everybody."